FACT CHECK: Did Actor Chris Pratt Say He Likes Hunting Because He Enjoys Killing Animals? Did Actor Chris Pratt Say He Likes Hunting Because He Enjoys Killing Animals? A quote attributed to Pratt about the joys of hunting was created from bits and pieces of various unrelated interviews. Actor Chris Pratt says that he has no problem letting meat go to waste after hunting, because he just likes to kill animals. Chris Pratt said that he enjoyed hunting during a 2012 interview with Outdoor Life. The meme used unrelated quotes from various interviews to create a fictional statement. Hunting is in my blood. My dad and uncles hunted. I didn’t hunt much as a teenager though I longed to. The thing inside me that drives me to go out and hunt is very animal. But the remorse, emotion and respect I feel, and the closeness to God that I feel when I’m out there, is my humanity. “My wife’s] like, ‘You’re not gonna eat it.’ I’m like, ‘Yeah, I guess you’re right. I just like to kill ’em. I’m sorry, but any time I kill something, I like to say a quick prayer — just cause we didn’t waste this guy. This was not a real quote (although Pratt has said all of these things at different times), but a mishmash of various interviews that Pratt has given over the years, rehashed and served up in meme form with context removed. Hunting is in my blood. My dad and uncles hunted. I didn’t hunt much as a teenager though I longed to. Since I played football and every weekend in the fall consisted of games or practice I was forced to listen to my friend’s hunting stories seething with jealousy. I became passionate about big game hunting when I moved to Utah to shoot the television series Everwood in 2003. I lived there for four years, had the time and money to really get into it and became absolutely obsessed. 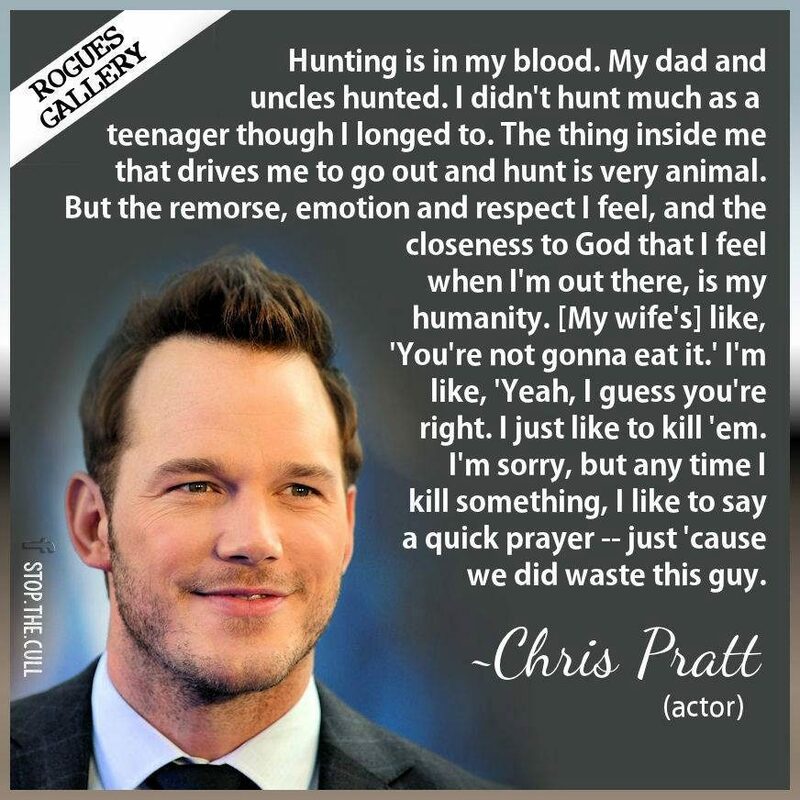 This meme took small segments of quotes from various interviews over the span of three years and combined them to make it appear as if Pratt hunted for the pleasure of indiscriminately killing animals. In fact, we would wager that Pratt ate most of the animals he killed. After all, the actor has a reputation for serving squirrel at dinner parties. 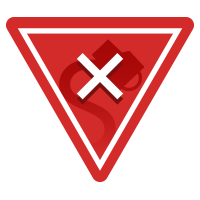 8 August 2017: The original version of this article said some portions of this quote were fictional, when instead they were cherry-picked from actual interviews and presented out of context. All of the quotes included in this meme have now been traced back to their original sources. The Guardian. 6 June 2015. Field and Stream. 31 January 2014.